M-F, 8:30 am - 5:00 pm Other times available by appointment. 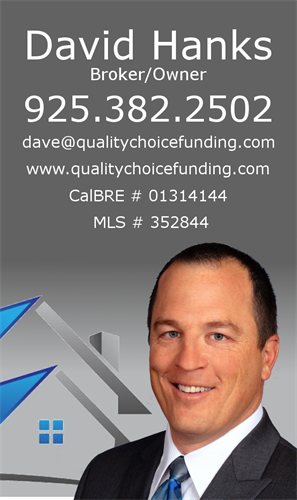 Quality Choice Funding understands that purchasing a home is the biggest purchase most will make in a lifetime. Our competitors’ approach to the mortgage process is notorious for being drawn out, stressful, and risky. We've streamlined our process to ensure that the experience of obtaining your mortgage is as smooth and stress-free as possible. Once you find your home, our loans are fully underwritten and processed generally within two weeks. It is our pleasure to get you home faster. Of course, we are also happy to obtain the optimum refinance for you whether you are looking to lower your monthly obligations, pay your home off more aggressively or position yourself for investments or a move down the road. Either way, we educate, provide multiple options and always have your best interest at heart.